Working on something a little different. 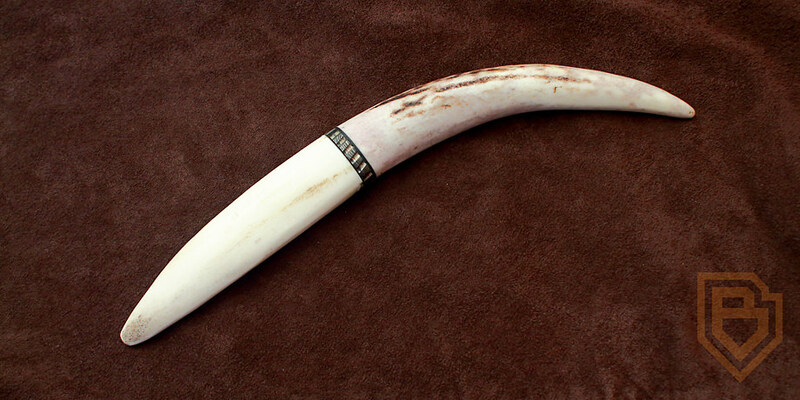 Deer antler and Damascus steel. Both are rejects/offcuts from work that I toyed with until I could get something useable out of them. Damascus blade and guard hardened, tempered and etched. I have a couple more arty things I want to do to it all before I fit up and glue. Nearly there. Fit up done with a pre-glue. and all ground together. All the parts are taped and waxed before gluing, so I can pull it all apart and do the finishing touches on the steel before re-etching and re-gluing. Hopefully then it will all line up again. This little beauty has been a fiddly one, a learning curve and an enjoyable challenge. 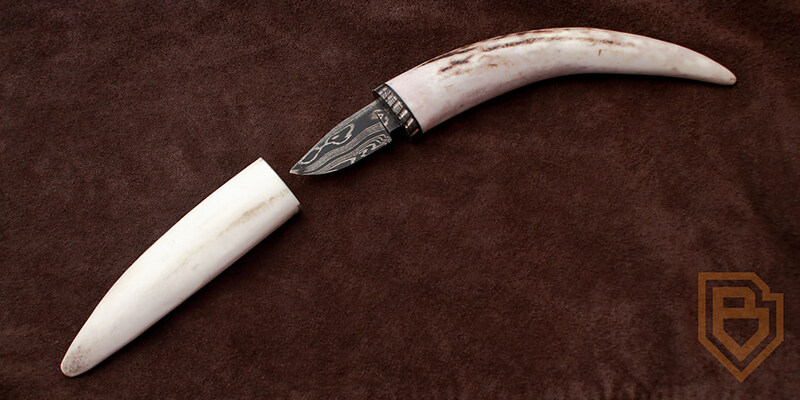 Deer antler and Damascus steel. I've a couple of little spots to tidy up before releasing it, but it's pretty much done. 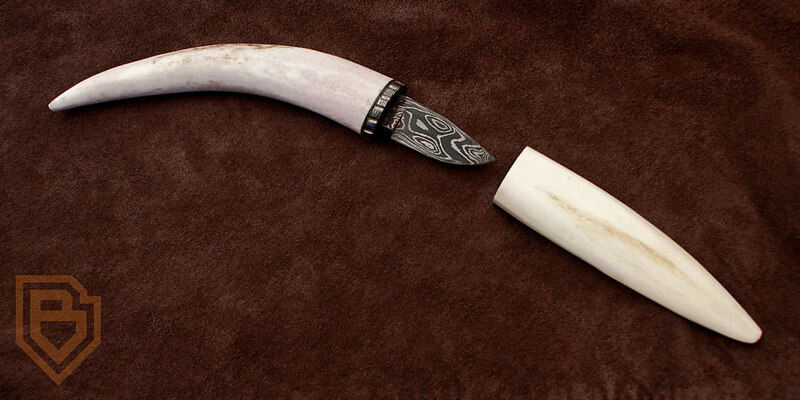 A lovely addition to any collection and a sharp, handy little blade. I wonder now what to call my little invention? The Bambi Box Cutter. Now get some much needed sleep mate, do you run on mains power or something? Next project.. Baz will design wings, don a scuba tank, and unlike Icarus not only will he be able to fly close to the sun, he'll come back with some awesome pix !! My latest SUPER Kiritsuke. Extra long blade. Don't mess with the chef on the end of this! 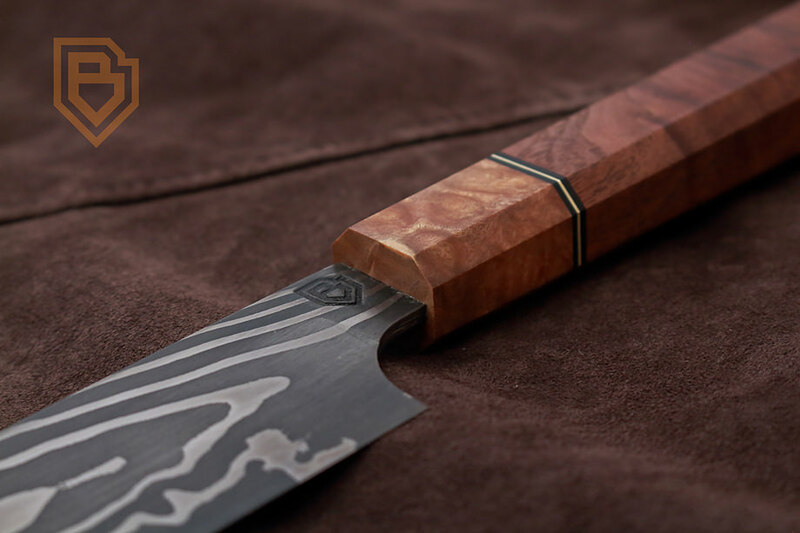 High carbon steel blade, hammered finish. Mallee burl handle. Japanese Santoku sharpened and ready for a new owner. 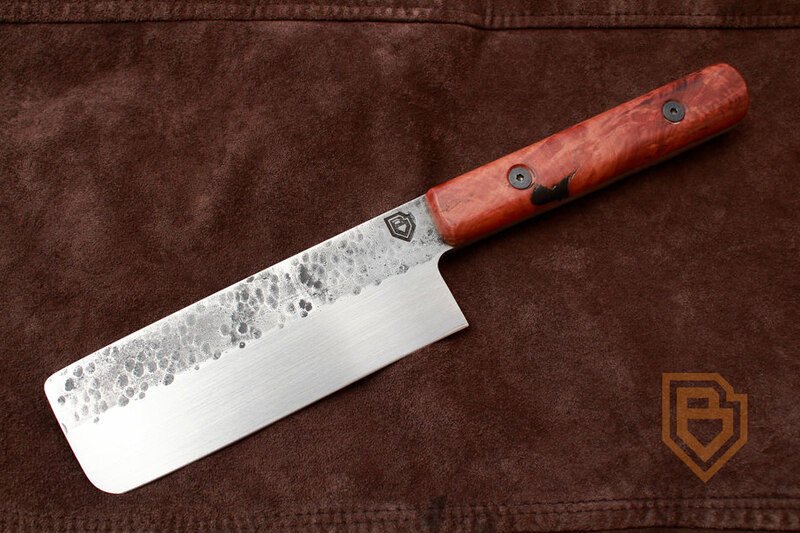 High carbon steel, hammered finish, Mallee-burl handle. Message me if interested. RyoSaeba, fredhoon and Evilhomer like this. Latest. 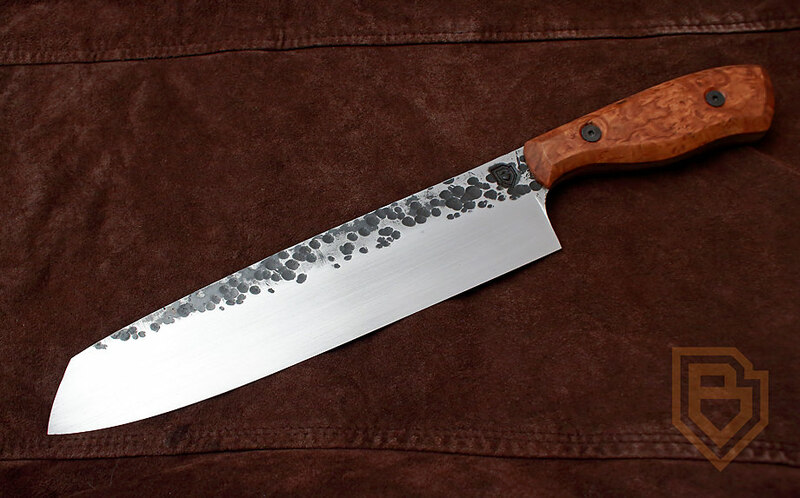 High carbon steel, hairy oak handle scales. Edit: Just realised after I put the photo up, that I have to put an edge choil in it. Rest assured I will take a diamond file to it and put one in before it goes to it's new owner. DSTM (Dougie) and Alby1976 like this. 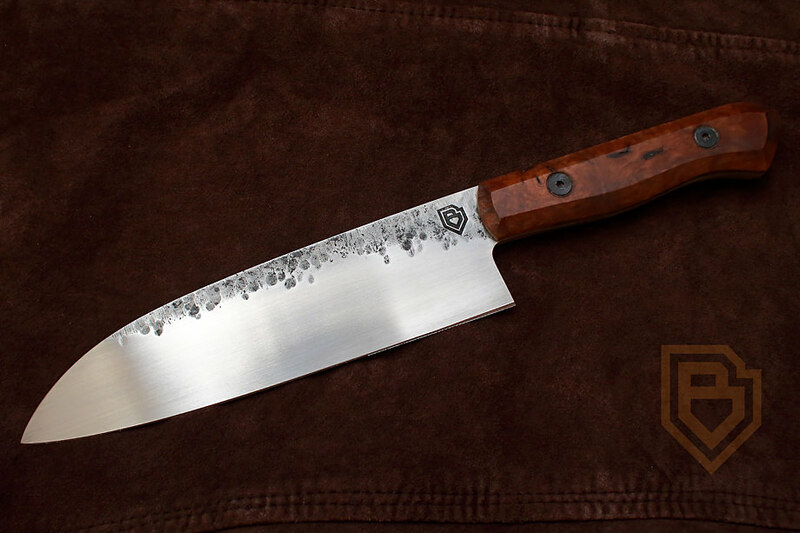 High carbon steel blade, hammered finish. 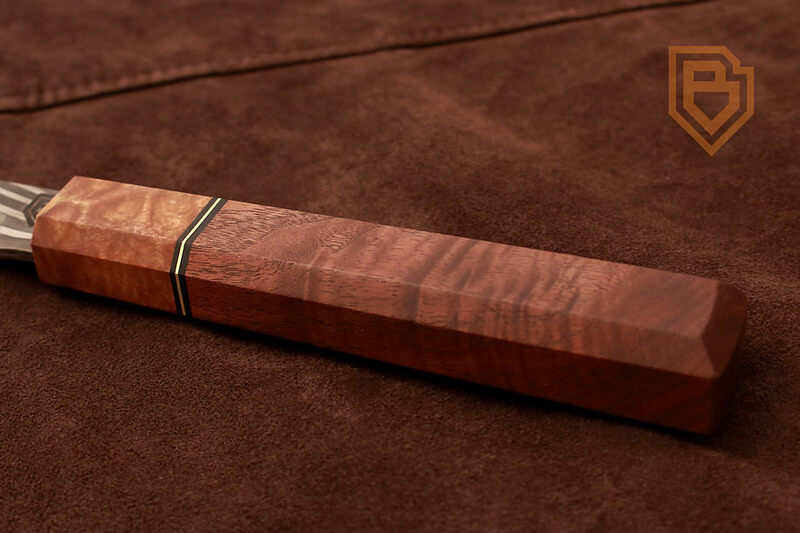 Walnut handle scales. I've been working on this one for the last week. Finished this afternoon. 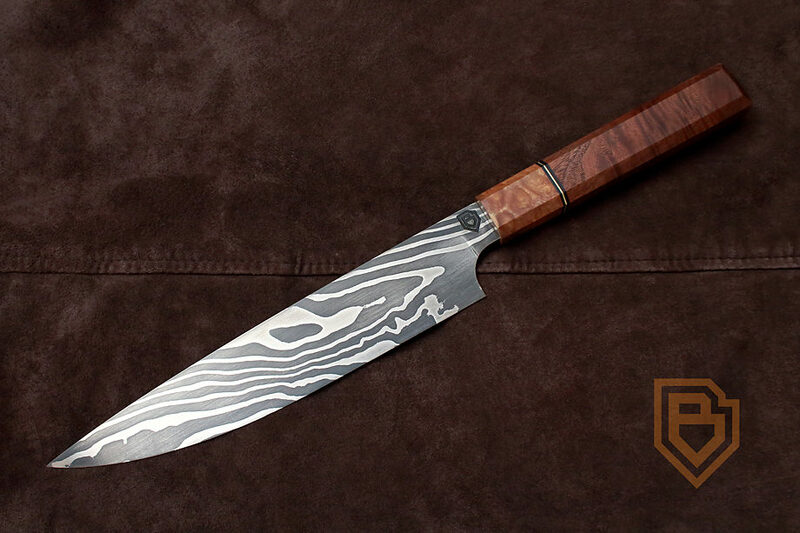 Japanese Nakiri knife. 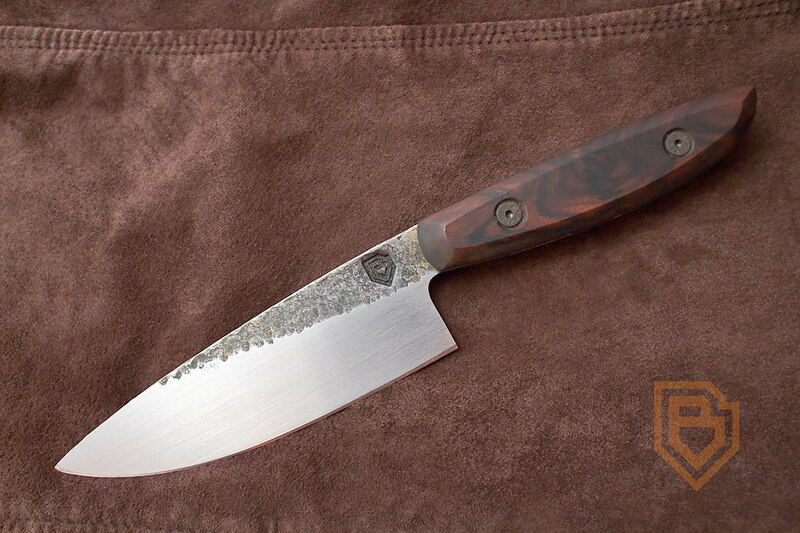 High carbon steel blade, hammered finish. Eucalyptus burl handle scales. Available. cmi83, DSTM (Dougie) and fredhoon like this. 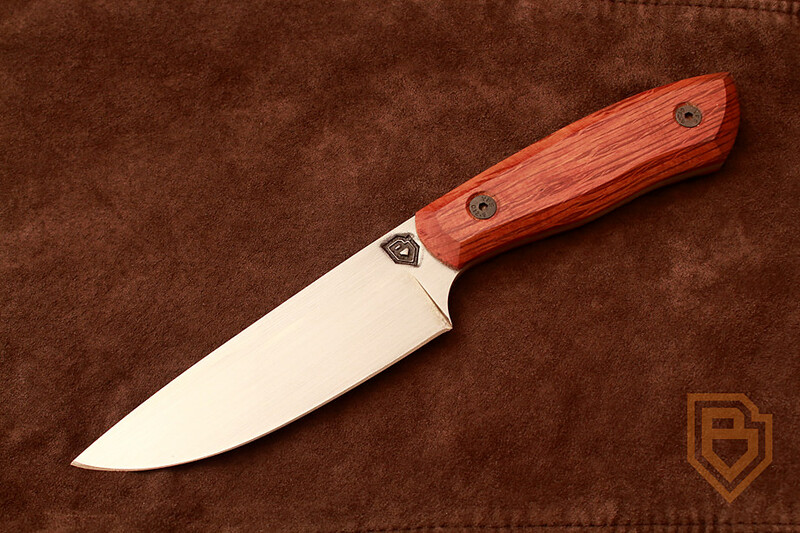 A simple sharp test on the above knife. cmi83 and Kommandant33 like this. had to take a trip down memory lane, just to remind myself of how far you've come in such a short time. Really is amazing work. PsydFX, grrrr, Andres and 5 others like this.